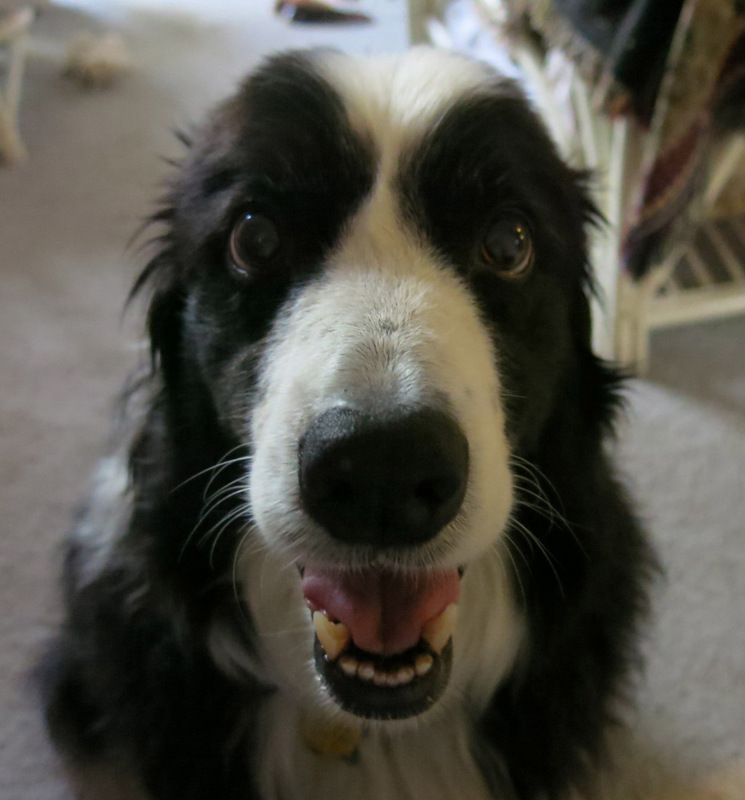 Greetings, everyone; once again it is I, Chess the purebred border collie, here to provide you with the most entertaining and enlightening posts possible. You may remember me from such posts as “Stinker’s Revenge” and “Last Seen Wearing”, among others. The guy I live with is on a rampage. Here I am in a characteristic pose showing my reaction to all of this. Ears way back. First of all, the guy I live with sawed down a bunch of dead tree branches, and “got all sweaty”. Well, boo hoo, right? All sweaty. There’s a shower upstairs, in the bathroom. Then he did some more looking up, and discovered that some people think it’s “Teucrium cussonii”, a name which does not exist either. The name which does exist is T. cossonii, named after the botanist Ernest Cosson (1819-1889), and is endemic to the Balearic Islands, except Menorca. Here it is. 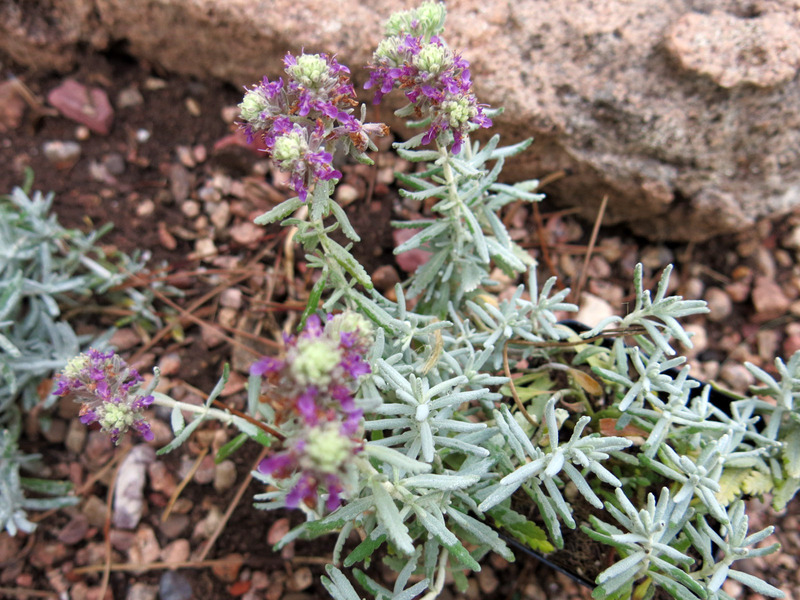 The name is fairly recent, and was proposed to replace Teucrium pulverulentum, which was apparently invalidly published. Some botanists prefer to call this T. polium subsp. cossonii. A lot of websites include the name majoricum to go along with this. This is wrong. 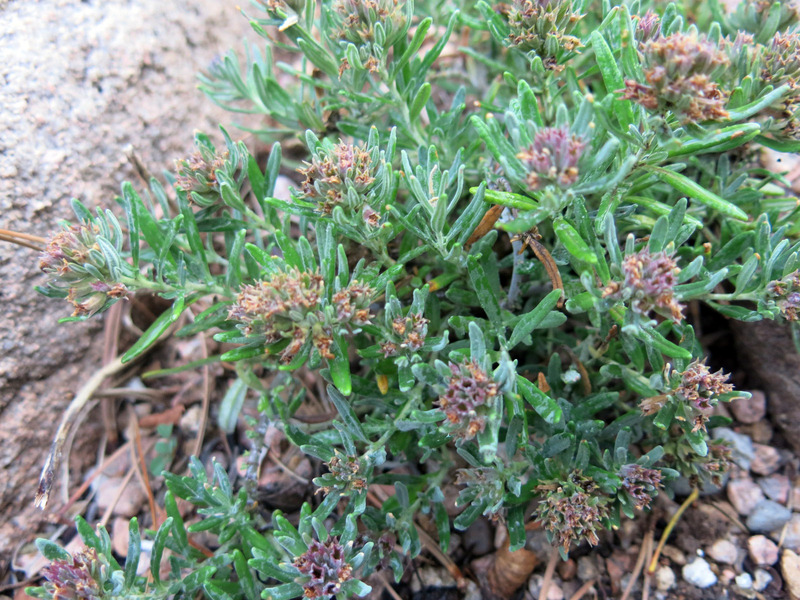 Teucrium majoricum is an entirely different species (or subspecies) and has nothing to do with T. cossonii, never had anything to do with it, and the only thing they have in common is that the two separate species (or subspecies) grow in the Balearics. The preferred name for majoricum (which also grows in Spain), according to Flora Europaea, is T. polium subsp. pii-fontii. There are even more names bandied about, but the guy I live with wishes people would stop using the names cossonii and majoricum to refer to the same plant. They are not the same plant. Not than anyone ever pays much attention to him. I’ve found this a practical way of making it through the day. 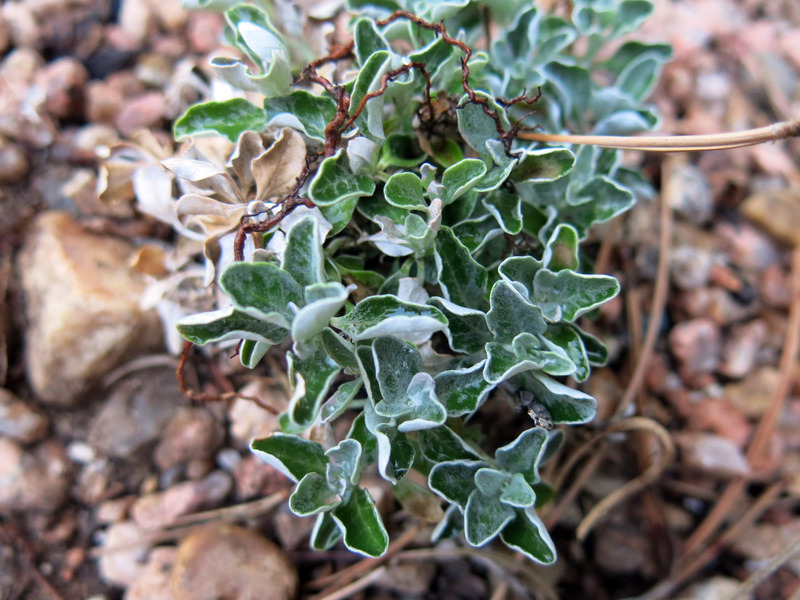 Oh, and there’s also a Teucrium gussonei. That’s from China. 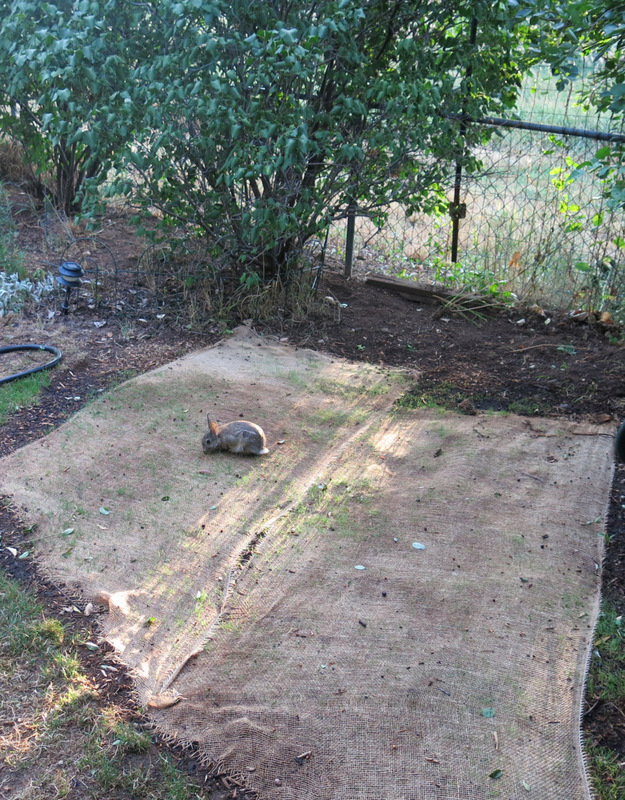 Another teucrium which is not the same plant, and yet gets included in this mess, is Teucrium aroanium. This is from Greece, and the leaves are very distinct. So there you are. I admit I didn’t find this all that interesting, but when the guy I live with is on a rampage like this, I’m supposed to type what he says. He also says that anything teucric seems to make people go slightly nuts, like Penstemon teucrioides, which he says also does not exist (it’s P. crandallii, and was a figment of E.L. Greene’s overactive anti-evolutionist imagination). Well, whatever, huh. As a character in the John Hawkes novel The Blood Oranges said, “I can give you clarity, but not understanding”. 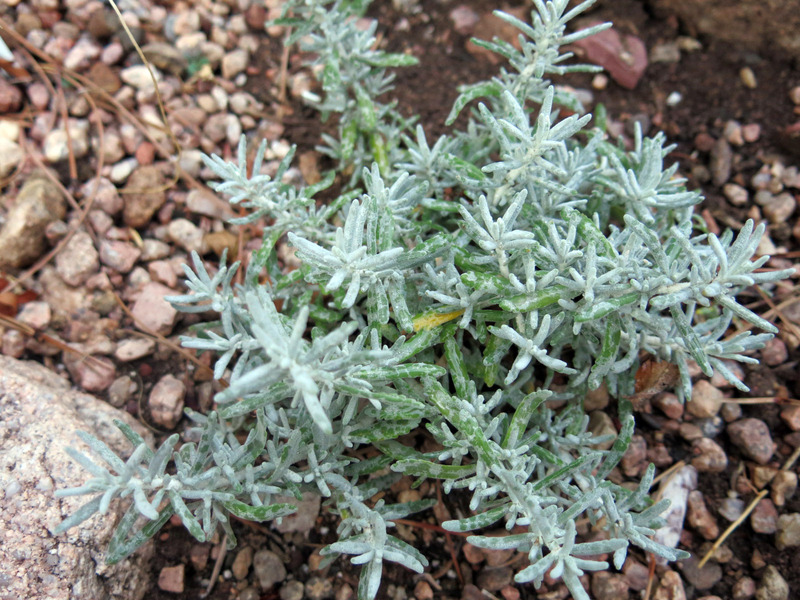 This entry was posted in Uncategorized and tagged Teucrium ackermanii, Teucrium aroanium, Teucrium cossonii, Teucrium majoricum. Bookmark the permalink. Chess, tell your human “thanks for the research.” Now I need to find T. polium subsp.pii fontii (the real majoricum) and my life will be complete. Sure. There are probably hundreds of other teucria worth investigating, too.